Today we (Big Gecko and Charles Darwin University) are launching CrocBITE, an ambitious project to archive all crocodilian attack incidents from around the world, the purpose of which is to improve our understand of human-crocodile conflict (HCC). HCC is arguably the biggest threat to crocodilian conservation now, a reversal of fortunes for those crocodilian species whose populations have recovered sufficiently to come into regular conflict with growing human populations. CrocBITE isn't about vilifying crocs; quite the opposite, it's about understanding risk factors, addressing conservation problems, improving human safety, and increasing respect (or at least tolerance) for crocodiles. I wrote a piece for The Conversation which was published this morning, you can see that here. However, I thought I'd post the original version here. It doesn't contain half as much information, but it takes a slightly different approach and makes some valid points. Crocodiles have what many consider a rather off-putting character trait: they bite. It's fair to say most of us don't like being bitten. We like being eaten even less, and reserve our greatest contempt for creatures that dare to consume us, even if they only nibble off a limb or two. We label such animals as "monsters" that "infest" their chosen habitat; they are basically pests that deserve nothing more than a bullet between their cold, reptilian eyes. But aren't these just wild animals doing what comes naturally to them? They've been around in a recognisably crocodile-like form for well over 100 million years. No living fossils these, they've spent that time being honed by selective pressures to become a highly efficient and adaptable predator. Yet their ability to survive is strongly correlated with the quality of their remaining habitat, and in our efforts to expand and claim ever more of it for our own uses, we have come into direct conflict with creatures that are trying just as hard as we are to survive. Our response to this conflict is to become the aggressor, to eliminate them to make ourselves feel safer. In areas of greatest conflict, crocodiles are hard to spot, fleeing at the first sign of humankind. Perhaps in their eyes, we are the real monsters. Hopefully one of the above viewpoints got a reaction out of you. They represent extreme but divisive arguments about how to confront human-crocodile conflict, and indeed human-wildlife conflict in general. Variations on both should be familiar to anyone who has followed recent discussions about how to manage crocodile populations in Queensland. We’re here because of a particularly bitter irony: crocodile conservation has been a victim of its own success, so to speak. 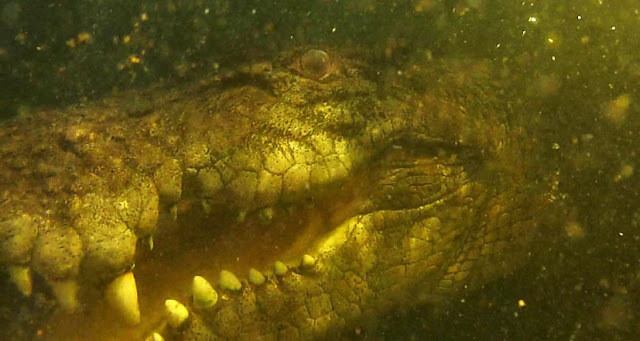 From uncontrolled exploitation after the second World War, to blanket protection from the early 1970s, crocodiles have long been an issue with teeth. Conservation strategies have needed to adapt. Once protected populations became numerous enough to result in more frequent crocodile attacks, public support quickly eroded. Management shifted from protection to sustainable use; the promise of profit as a conservation incentive, or perhaps a little bribery to tolerate the intolerable. It succeeded in building strong links between having crocodiles and having successful farming and tourism industries. Someone once told me they hate crocodiles with a passion, but they love their community with equal passion, and if having crocodiles supports local jobs then they’re ok as long as they toe the line. The trouble is, crocodiles toe no line. They are wild animals subject to natural behaviour and the mathematical beauty of their population ecology. The more crocodiles there are around people, the greater the likelihood of someone entering their behavioural equation. People will only tolerate so much; attacks propagate fear, no matter how small the actual risk of being attacked is, and once the pressure to "do something" reaches a sympathetic political ear then crocodiles are going to come off second-best. This is the situation developing in Queensland. Total exclusion zones are being created, in which the presence of crocodiles will not be tolerated. 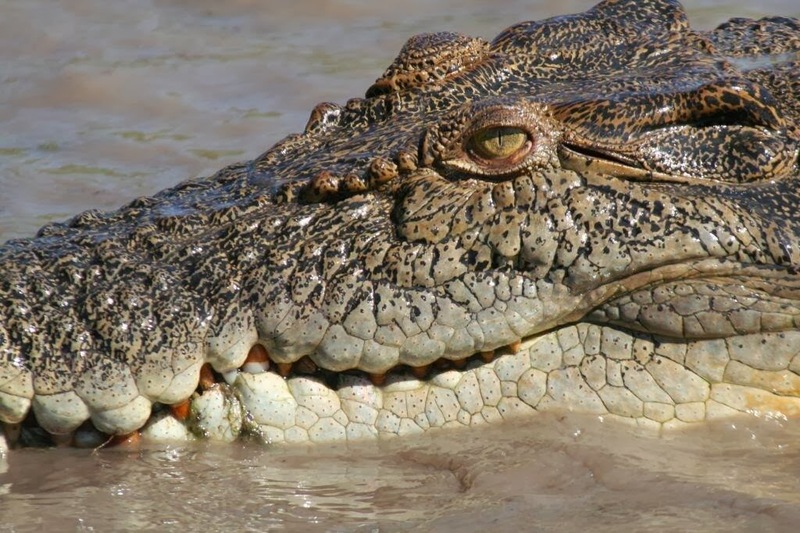 Crocodiles found outside their expected range elicit a rapid response to remove the perceived risk. Despite this, pressure to change may be essential for the continued successful management of crocodiles in northern Australia, as long as the approach is based on sound science and a pragmatic compromise between competing interests. Much work has and is being done to better understand the behaviour and ecology of crocodiles, although remarkably little has looked at their relationships with humans. Understanding what's behind human-crocodile conflict will be necessary if we're going to tackle it successfully. With obvious parallels to sharks, human-shark conflict has benefited from a more mature understanding of shark ecology and behaviour, but also through analysis of circumstances leading to shark attacks around the world. Unlike the International Shark Attack File, no comprehensive database of crocodile attack incidents has been available to provide a strong basis for the analysis of human-crocodile conflict. 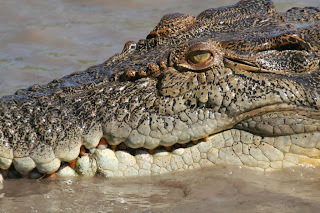 This week we are launching CrocBITE, a worldwide crocodilian attack database that does exactly that. With nearly 2,000 incidents recorded across 16 species and 50 countries spanning a period of 150 years, it provides a strong baseline to better understand risk factors, trends, and how to address them. The database embraces citizen science by encouraging contributions from individuals and agencies around the world, over 50 of which have so far provided data. Translating this knowledge into political outcomes remains a challenge, however, as the response to recent shark attacks in Western Australia has demonstrated. Crocodiles elicit similar strong emotions, and ensuring the best outcomes will require hard scientific and political work. After having read tons about croc attacks on humans, I am definitely more aware of approaching rivers or lakes, mangroves or estuaries for the simple dangerous reason that crocodiles can appear out of nowhere in our tropical systems. Here in India, they can remain undetected as is so often the case till a pet or human gets attacked. Not worth the risk of wading or swimming. That Sean Cole attack was another tragedy, and unlike a lion or tiger, it must be hell of a lot more frightening to see a human in the jaws of a large crocodile. I hear the one that took Sean was close to 5 meters. God knows what the rangers and park officials go through when they have to recover what's left of the victims. You do a tough job Adam.